Allwalks specialises in podiatry and lower limb assessment. We have expertise in assessing the mechanics of the lower limb, especially the foot and ankle. We offer services for the treatment of sports injuries, pain affecting the foot, ankle, knee, hip and even the lower back. We can also offer nail care, corn and callus treatment and nail surgery for ingrowing toe nails. Diaries are held at each venue individually so please contact the venue directly for the availability. See 'Find Us', below, for more information on our locations. Please note that not all services are offered at all locations. Michael graduated in 2001 with an honours degree in Podiatry from Glasgow Caledonian University. Gaining a position with Selby and York PCT he developed a great interest in the biomechanical aspect of podiatry and started to work closely with the specialists within the department developing his skills. In 2006 he moved to Australia to develop and further his biomechanical knowledge. Taking up positions in both a private practice and in the health service he learnt and practiced a wide range of skills and techniques, including video gait analysis. Working within many multi-disciplinary teams he has regularly worked with the physiotherapists, orthotists and occupational therapists to provide the most effective treatment. 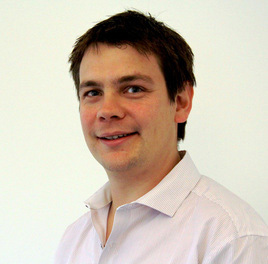 In 2008 Michael moved back to the UK and joined the North Somerset Primary Care Team in the role of lead podiatrist in biomechanics, orthotics and musculoskeletal treatments. While working in North Somerset Michael initially had two roles, working as the lead in biomechanics for both the Podiatry and the Musculoskeletal Interface Service. As the Musculoskeletal Service has grown he has changed his NHS role to concentrate as the specialist lead in biomechanics for this service. He works closely with the local Orthopaedic and Rheumatology departments, along with doing some work with Bristol Rugby, which have broadened his knowledge and treatment regimes in relation to musculoskeletal problems. Michael is registered with the Health & Care Professions Council, and a member of The Society of Chiropodists and Podiatrists. Michael is also part of the Somerset Orthopaedic and Sports Medicine Cinic. Rachel Clark qualified with a honours degree in podiatry from the University of Plymouth in 2006. Rachel’s first job as podiatrist was a basic grade with the NHS working for Torbay PCT. During this period of time, she developed a keen interest in biomechanics. In 2008 she joined North Somerset PCT as a senior community podiatrist. The following year she started her post graduate diploma in clinical podiatric biomechanics at Stafford University. Rachel temporarily worked for the biomechanics team under the musculoskeletal service. In December 2012 she started as the biomechanical lead for the podiatry department on a secondment, after completing her post graduate diploma. This job then became permanent in 2013. Rachel is registered with the Health & Care Professions Council, and a member of The Society of Chiropodists and Podiatrists.